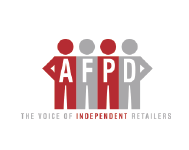 Yes, I want to join Keep Michigan Food Affordable and tell Lansing to pass legislation that keeps our food and beverages tax-free. Sign me up for updates. 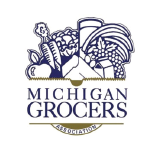 Michigan farmers, grocers, small businesses, social service providers and labor leaders praise Governor Rick Snyder for signing into law bipartisan legislation to guarantee Michigan families’ food and grocery items will remain free of new local taxes. 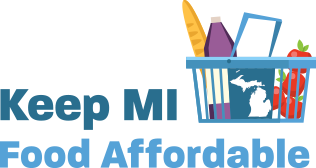 Keep Michigan Food Affordable is a group of business and community leaders who are calling on Michigan lawmakers to make sure food remains affordable, something Michigan families count on. Join us and say YES to tax-free food and beverages. Michigan lawmakers are considering legislation that would prevent cities and municipalities from passing taxes on food and beverages. Why? Because we need to make sure these grocery items remain tax free – for the good of local businesses and the hard-working families who rely on affordable choices. 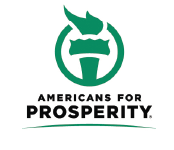 In 1974, the voters of Michigan made food and beverages tax free and we want to ensure that sentiment is protected at all levels of government in the state. We’re working to put Michigan taxpayers first. We’ve seen what’s happened in other states that have passed local food or beverage taxes. Jobs have been lost, prices have skyrocketed, small businesses have suffered and customers have fled city, county, and state lines to purchase the food and beverages they want. Let’s make sure Michigan paves the way forward. Why should Michigan lawmakers prohibit the local taxation of food and beverages? Taxpayers expect and deserve tax-free food. Michigan’s constitution, by a vote of the people in 1974, prohibits the state from imposing a sales tax on food and beverages. Michigan lawmakers should act to ensure that food remains affordable for Michigan families. These local taxes don’t yet exist in Michigan. Is this a solution in search of a problem? Recent experiences in states like Illinois and Pennsylvania prove it’s not. Too often, when government faces a budget problem, its first reaction is to take more of our money by raising taxes. We’ve seen it happen time after time after time. Michigan families already pay enough taxes. 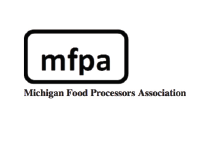 The Michigan Food Access and Affordability Act will prevent local governments from going around the state constitution which prohibits taxes on food and the will of the voters by imposing local taxes on food and beverages. It’s a common sense, good government initiative that puts Michigan taxpayers first – especially low and middle-income families who would be hit hardest by a regressive tax on their food. Have local food and beverage taxes been created in other states? Yes. Philadelphia, Pennsylvania, and Cook County (greater Chicago), Illinois, have recently instituted local food or beverage taxes. As a result, hundreds of jobs have been lost, prices have skyrocketed, small businesses have suffered and customers have fled city and county lines to purchase the food and beverages they want. 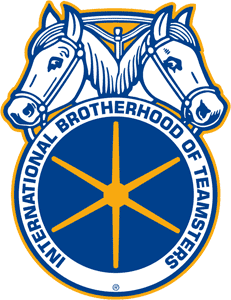 The moves have drawn widespread, bipartisan opposition from taxpayers, farmers, business leaders, labor unions and state lawmakers. Where pro-tax advocates have not been successful in their influence of local government officials, they have taken the effort to the ballot box. Most recently Santa Fe, New Mexico voters turned out in large numbers and decisively rejected a beverage tax. 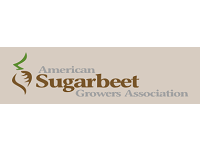 Has any state or community in the United States rejected a local food or beverage tax? Yes. Since 2008, voters and/or legislatures in 44 different state and local governments have rejected food and beverage sales taxes. 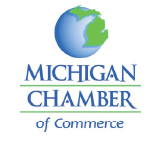 Prohibiting a new regressive tax on food and beverages in Michigan will be following national best practices. Do local food or beverage taxes improve health or reduce obesity? Real world evidence shows us that taxes on grocery items do not make people healthier. A study on the beverage tax in Mexico which took effect in 2014 found that the tax resulted in 4.9 fewer calories consumed per day out of an average daily diet of 3,024 calories, an amount not even measurable on a bathroom scale. The latest report on obesity rates from the 2016 National Health and Nutrition Survey showed obesity in Mexico has gone up since the tax was implemented. A study on the Berkley beverage tax by a proponent of the tax found that the tax resulted in an average reduction of 6 calories per person, or less than a pound per year. In fact, the calorie reduction was greatly offset by a 32-calorie increase in purchases of non-taxed beverages. This means the calorie increase caused by the tax is five times that of the calories reduced by the tax. If we want to get serious about addressing obesity, people need information and choices, not taxes that unfairly single out certain items. But won’t a new local food tax push residents into purchasing healthier foods? Quite the contrary. Driving away small grocers and retailers with new local taxes would increase and expand food deserts in Michigan, making it more difficult for families to purchase the healthy foods and beverages they want and need. If a Michigan municipality enacted a local food or beverage tax, who would really pay? Taxes on food and beverages hurt working families – and their jobs and wallets – more than anyone. According to researchers, a sales tax on grocery items is among the most regressive taxes in existence. They also kill jobs and slash hours for working men and women everywhere they’re tried. That’s why Republicans and Democrats, business owners and labor unions have stood together across the country to oppose these taxes. 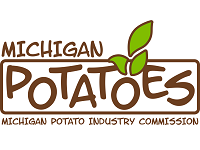 PAID FOR BY KEEP MICHIGAN FOOD AFFORDABLE.